Hello Doodlebug Friends! 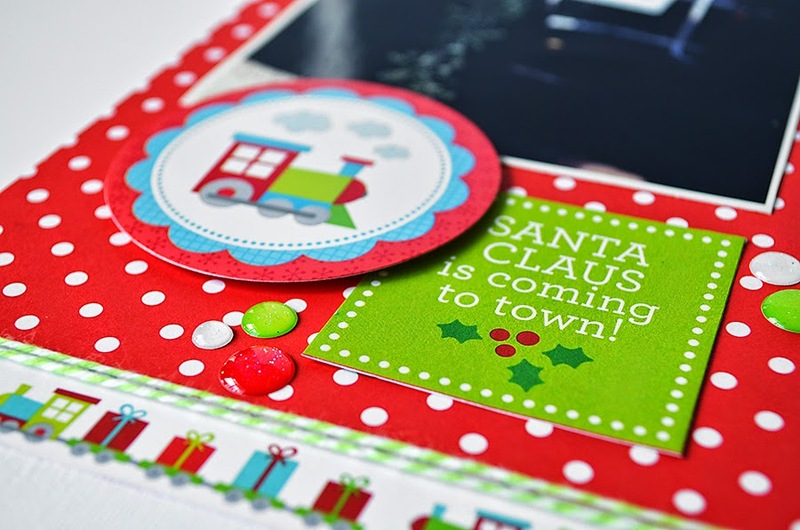 It's Wendy Sue here today, sharing a layout I created with the "Santa Express" Collection. 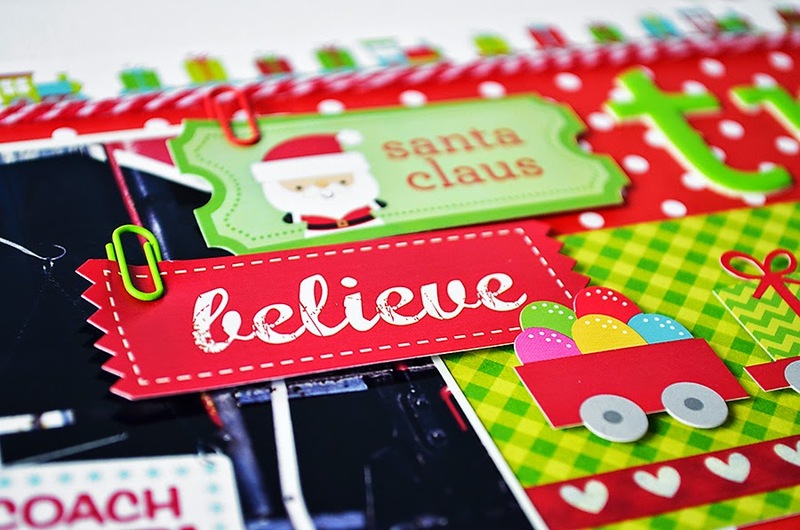 I just love the super cute trains on the papers, stickers, and embellishments and knew they would be perfect to document our little family excursion on the "Santa Claus" Train. I couldn't resist the awesome "chippers!" chipboard letters - they are just the perfect size for a title! Sometimes I like to add foam adhesive behind my stickers to add a bit of dimension. I added a few extra "just because" embellishments too - check out the washi tape, mini paper clips, and Christmas sprinkles! So adorable and love that cute Santa! The trains are so cute! I have a nephew that would love this. Lovely layout, I love every single detail. This collection colors are adorable! I shared this post on my Facebook through Doodlebug's Facebook page! Adorable layout, the train is just adorable and I love how you added it to the large flag! Love all of the extra embellies too, such a fabulous collection! What a cute layout! I love the train. OMG Your LO is absolutely adorabs and your pics are so fun. You sure did one outstanding creative job!! What an awesome scrapper your are!! Your train banner is so CUTE, especially with the added dimension!!! Wendy Sue did such a great job on this layout!! I love how she used this collection and used the embellishments!! She did such an amazing job!! Liked and shared with my facebook friends!!! Great layout and I need to complete a "train" layout like using this collection with a picture of my dad and his Christmas train. Adorable page. I love the chippers as well!! I used them on a recent layout! !